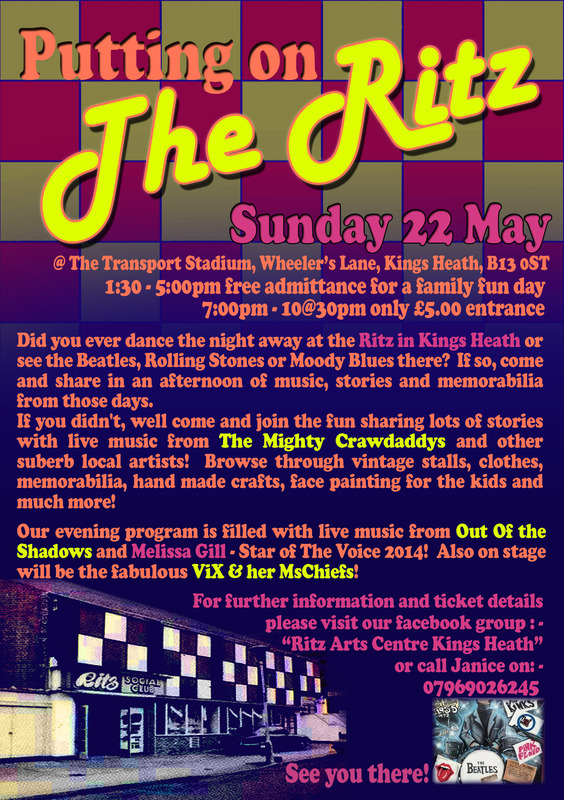 If you ever danced the night away at the old Ritz Ballroom, come and share in an afternoon and evening of music, stories and memorabilia from those days organised by the new Ritz Arts Centre organisation at the West Midlands Travel Sports & Social Club (Transport Stadium), Wheelers Lane, King's Heath, B13 0ST. If you didn't, come along anyway and join in the fun! From 1.30pm to 5 pm there is free admittance to a family fun afternoon. Browse through vintage stalls, clothes, memorabilia, hand made crafts plus face painting for the kids and great live music from The Mighty Crawdaddys, Rob Peters (as John Lennon), TIm Walkerdine and Tony Wille among others. From 7 pm to 10.30 pm there will be a fantastic evening concert featuring the award winning rock 'n' roll band Out Of The Shadows, the bright young star of BBC TV's The Voice 2014 Melissa Gill and the sensational ViX & her MsChiefs. There will be plenty of room to sit but also plenty of room to dance the night away! Direct from singing in Barcelona and her home town of Vilanova in Spain, we are thrilled to present the UK debut of Carla to celebrate the 50th Anniversary of Dusty Springfield's appearance at King's Heath's Ritz Ballroom. 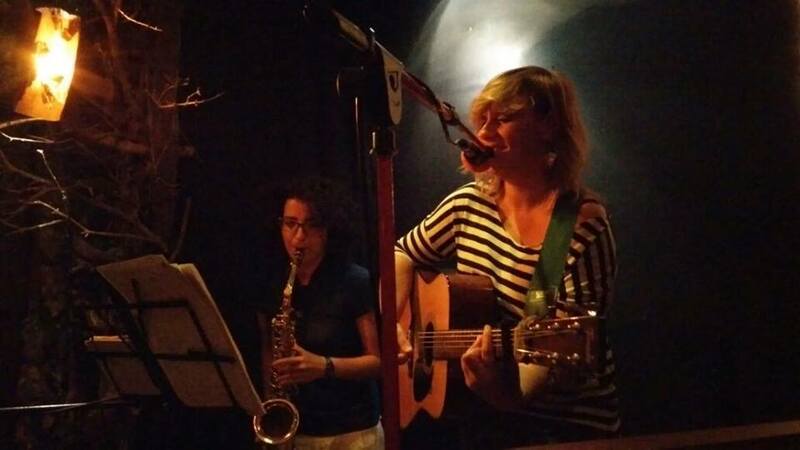 Her voice has a striking resemblance to Dusty's and she is bound to woo you with her own inspirational and enigmatic style. This young woman, and her guitar, are living the dream and with her intimate style and captivating voice she will lead you back into magical memories of Dusty. 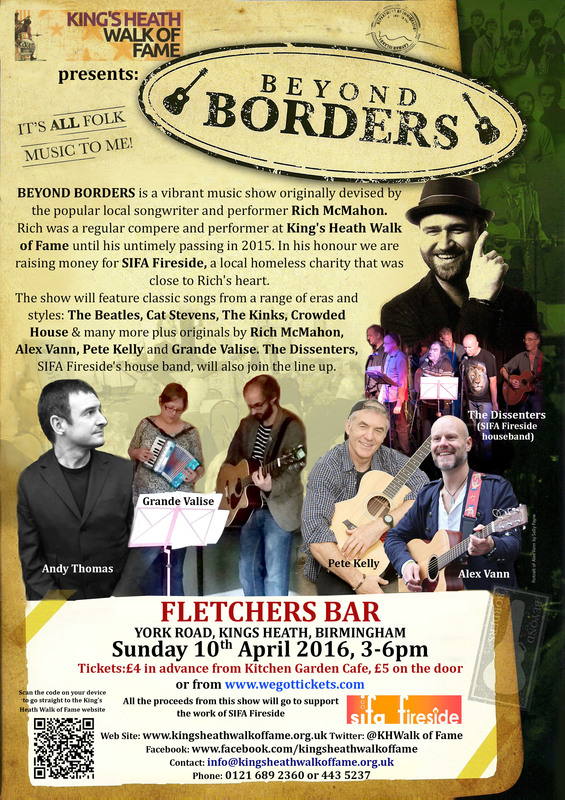 Now starting at 4 pm on Sunday 10 April this very special gig will raise vital funds for SIFA Fireside, a local homeless charity, while honouring a much respected local musician Rich McMahon who was a regular compere and performer at King's Heath Walk of Fame events until his untimely passing in 2015. Originally devised by Rich, the show Beyond Borders will include the music of The Beatles, The Kinks, Cat Stevens and Crowded House as well as original songs performed by Alex Vann, Pete Kelly, Andy Thomas and Grande Valise plus a guest set by The Dissenters SIFA Fireside Band. All the money raised will go to SIFA Fireside. Please note this gig will start at 4 pm and end at 7 pm not 3pm and 6 pm as previously advertised.